This week has been so amazing!!! SOO many answers to prayers this week!! Get ready for some stories!!!! Monday night we had our FHE lesson with Russells which was incredible as usual. 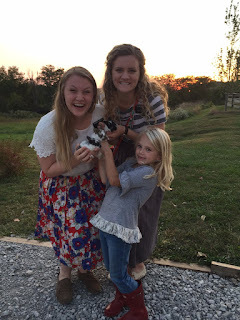 We watered plants in their yard with Kloe before our lesson and got to hold their baby bunnies!! Kloe also gave us an invitation to her baptism on the 22nd!!! We had a lesson about our "Spiritual CPR"! We had their son, Lincoln, do push ups and then had him pretend one hand is Church, the other is Prayer and his feet are Reading the Scriptures. We told him to take one hand out and try to do push ups and he realized very quickly how hard it is. We have to have all three in our life! 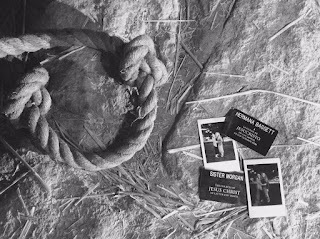 I know that for me on my mission, those three things have been key for me. I am so grateful for the peace and guidance that comes into my life when I focus on reading the scriptures and praying. On Tuesday night we had the coolest lesson with our friend, Julia, and her friends! It's so hard to describe what even happened but the girls had just gotten home when we got there from doing a homecoming proposal, sooo they were pretty hyped and going crazy. haha. 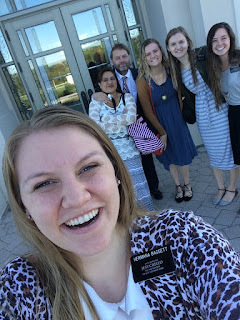 Sister Baggett and I were wondering how in the world we were going to bring the Spirit there enough for the lesson and calm everyone down. haha. We decided to just start the lesson. Julia offered the opening prayer and then we started teaching them about the Restoration. We shared with them our testimonies of how much God loves all of us and then told them or prophets in the past who have led people and have helped them to feel of God's love by giving them the gospel of Jesus Christ to live to be able to feel of that love the most. 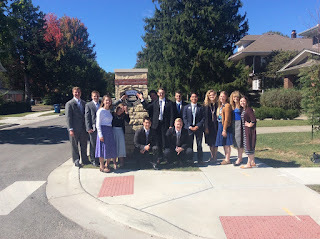 We were teaching them of how this priesthood authority that the ancient prophets had was lost and people were confused and then shared with them the story of Joseph Smith. He was trying to find out what church to join and he said a prayer and asked God which was correct. He then saw a pillar of light exactly over his head above the brightness of the sun, which descended gradually until it fell upon him. When the light rested upon him, he saw two personages whose brightness and glory defied all description. Standing above him in the air, one of them spake unto him, calling him by name, and said, "this is My Beloved Son, Hear Him!" ... The Spirit was so strong. I know that each of you were able to feel a portion of that peace that filled the room during this lesson with these girls. "The fruit of the Spirit is love, joy, peace, long-suffering, gentleness, goodness, faith, meekness, temperance." I came to know that that is so true Tuesday evening. I was thinking of each of these teenage girls during this lesson. That night for the very first time they were getting the opportunity to hear and feel this message that brings me so much PEACE and JOY. I literally cannot even imagine where my life would be right now without this gospel. It is so precious to me. I hope that you and I will never forget the peace that this gospel brings into our lives. We got transfer calls Wednesday morning and Sister Baggett and I get to stay together for her last transfer!! and then.. it will be mine. so crazy! 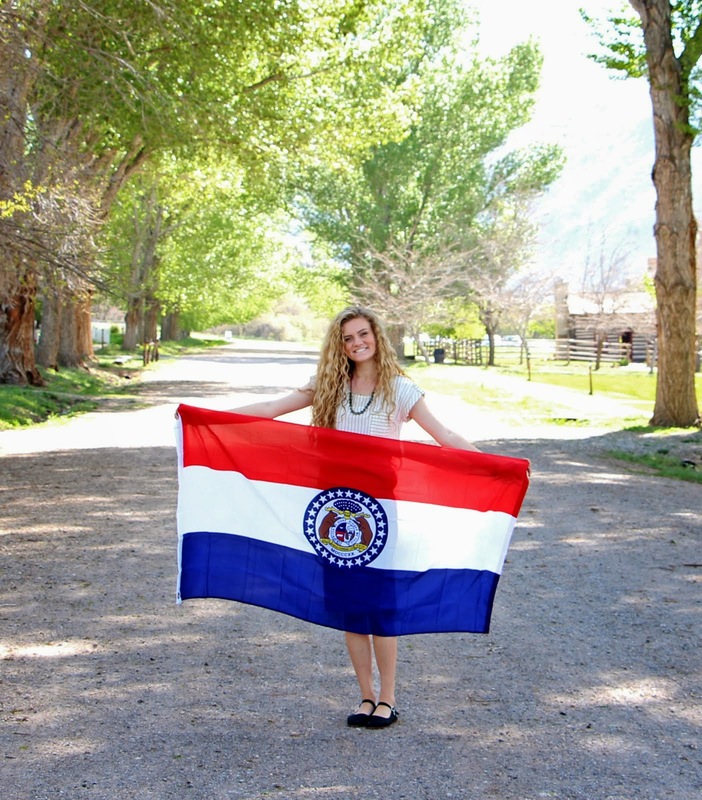 I do not feel like I have been a missionary for over 16 months. We said goodbye to our friend Sister Linda Petey Wednesday morning at Departure Breakfast at the VC and then had our Jail farewell that evening. Costumes and all! They also transferred the elders out of our ward and closed down their area, which is super sad!! I loved finally having elders in our ward for those short 6 weeks! ha. 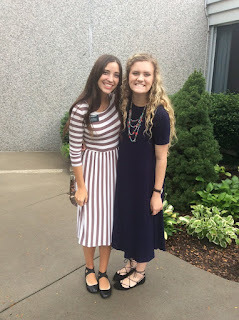 Thursday morning, Sister Baggett and I got to take the new missionaries through the jail, aka, I got to see SISTER DRAPER!!! I only accidentally called her by her first name in front of President ONCE! haha. we are still adjusting :) It is so fun having her here in the mission. 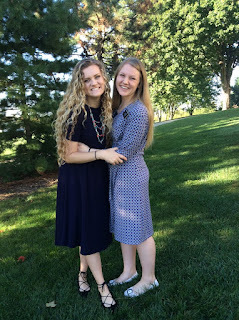 She is such an incredible person and missionary. 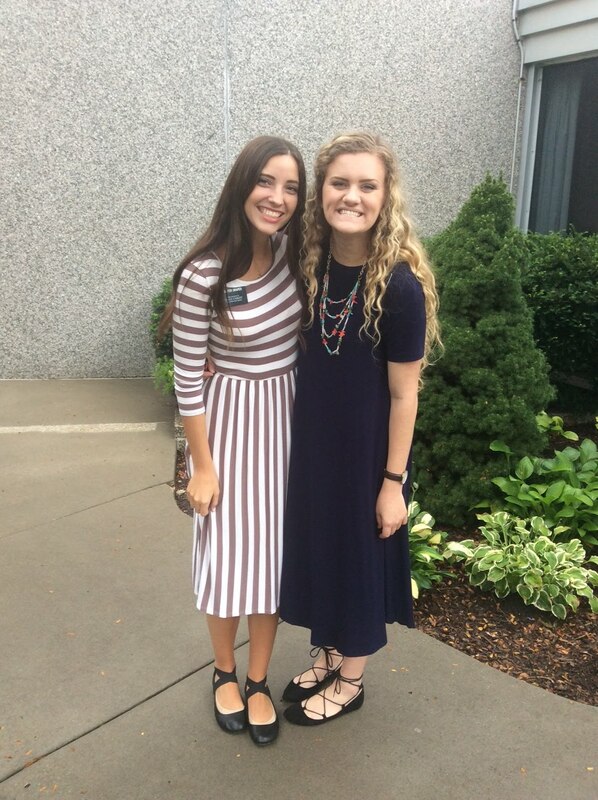 She is also starting her mission in the Celestial Kingdom, aka Independence 4th ward <3 I love that ward with my whole heart. I am still praying that we can be comps next transfer! We had an awesome Friday Service Day again :) They are becoming a weekly thing which is awesome. 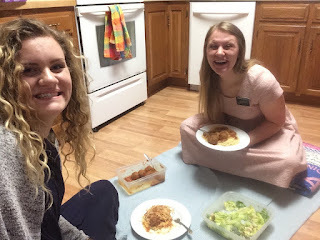 We scrubbed a members kitchen floors with her in the afternoon and it was so fun! Sister White is the best! We also helped our Relief Society President, Sister Jensen, set up for the neighborhood barbecue they were having Saturday night, which was awesome!!!!!!! This family is seriously they best member missionaries ever!!!! They have been telling us about this neighborhood barbecue that they were having and they have been making sure that we can make it for weeks. We have been super pumped for it. There were like 70-80 people at their house that night. Half were members of the ward and others were their neighbors. 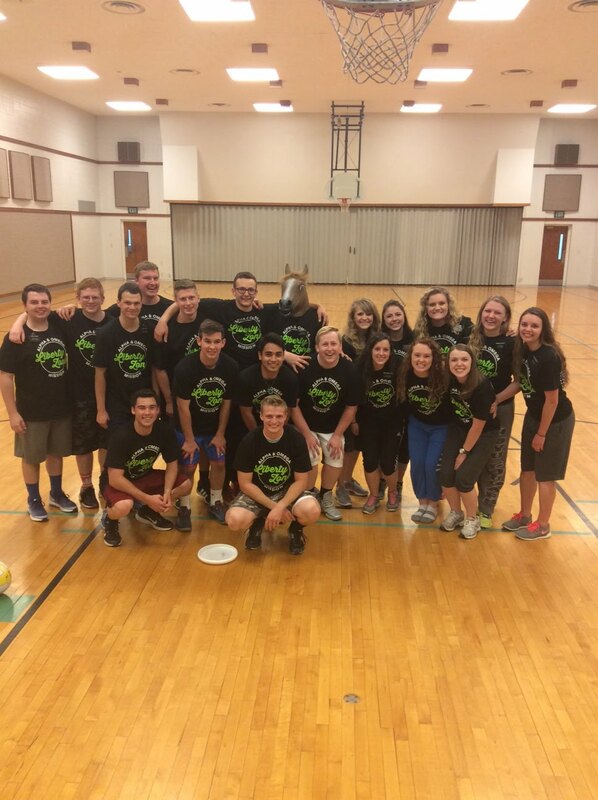 It was perfect for us to be able to get to know others in the community. 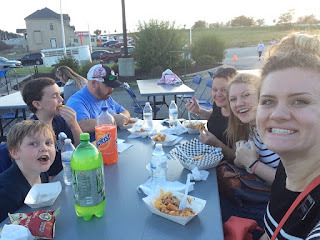 We made sure to plan to get our food last so we could pick who we wanted to sit by out in the backyard and we sat by their next door neighbor and literally, every other neighbor of theirs that weren't members came and sat at our table and we got to get to know them all! It was literally so inspired. The barbecue was awesome! They had an awesome smore bar there too! 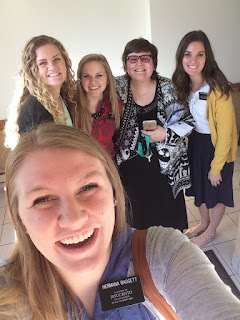 :) The members in this ward are literally so incredible at missionary work and just living the gospel. They just get it. I hope to be like them one day. One of my favorite stories this week is about a sister in the ward who is also amazing at missionary work. 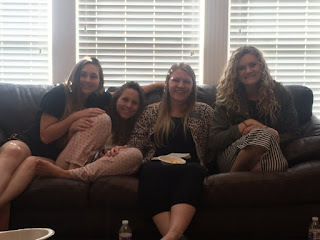 She was fasting a part of our Ward 40 day fast to be able to have missionary opportunities. She texted us and said, "ps. I just totally had an awesome missionary moment handed to me and I botched it. Insert sad emoji" So we asked her what happened and basically she was at a yard sale and got talking to the woman about how she has a big family and so does this member and at the end the woman says to the member, hey do you know of any churches around here, we just moved here and we need a church to go to. OKAY GOLDEN. 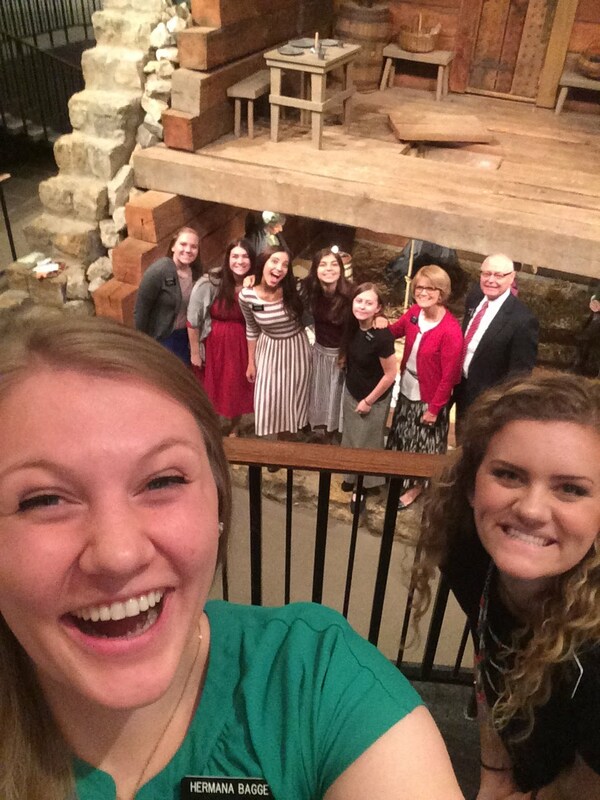 So this missionary moment was right in her face and it just shocked her!! Hahaha so she stuttered out an "I'm ..uh... Mormon...and we go to the church by ... the temple..." she goes why would I said I'm Mormon first thing!?!? 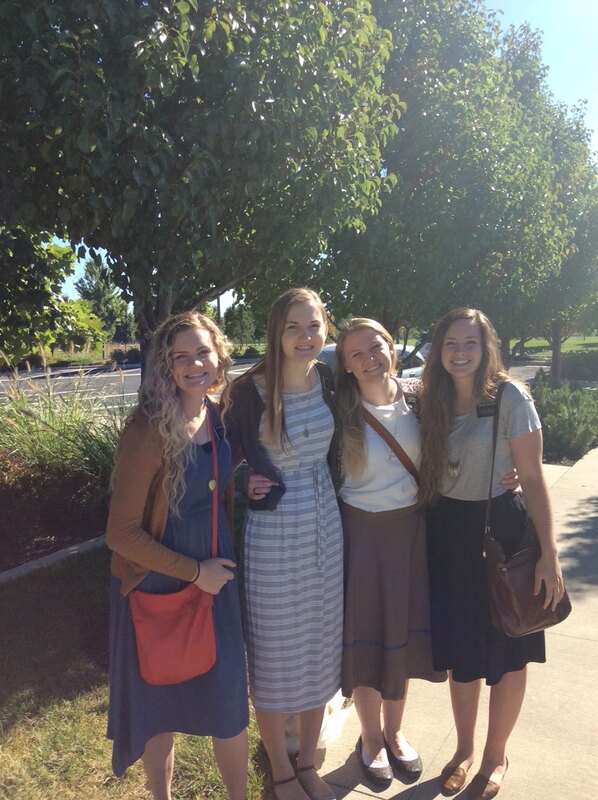 And we don't even actually go to the church by the temple either, we go to another building...well this is awkward. She was like I don't even know what I was saying and it just got so awkward and I know she thought I was crazy so I just got her number and decided I needed to fix it later!! Hahaha so later on in the week she invited her family over for a movie night on the lawn and they came! 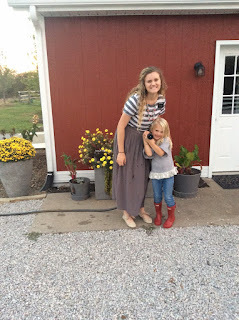 She told us how this lady was telling her husband where she was going that night and her husband (who had to work late) was like, you met this girl for three minutes on our driveway and now you want to go over to her house with our kids?! Haha. The lady told her husband that for some reason, she just felt really strongly that she needed to go over and she wasn't sure why. (Aka, already following spiritual promptings!!) And they're also having a play date today! So if you ask her it wasn't the best contact ever...hahaha but that's why it's Heavenly Father's work and not ours! :) He definitely makes up for our mistakes. So keep trying everyone!! Before the barbecue on Saturday, we went to another baptism in KC1. Joyce got baptized!!!! It was such a special day. After she was baptized, she was walking out of the font and she just said, "I'm so happy!" It was the sweetest thing. We met Joyce like a month before I left Kansas City and she has been so prepared for the gospel ever since. She was actually introduced to the church by members in her old town. She met some members like 2 weeks before she moved and she just never stops talking about them. 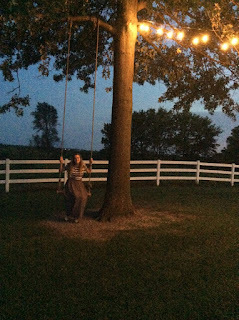 The light that they had and how they helped her organize her move (which is when we met her). It is so amazing to see the influence that we can have on others by simply being an example to them! - first four pictures are from the Russell's ❤️ t-11 days till Kloe's and mine birthday!! - departure breakfast when we found out we got to stay together!!!!! Yessss!!!! - SISTER DRAPER in person!!! 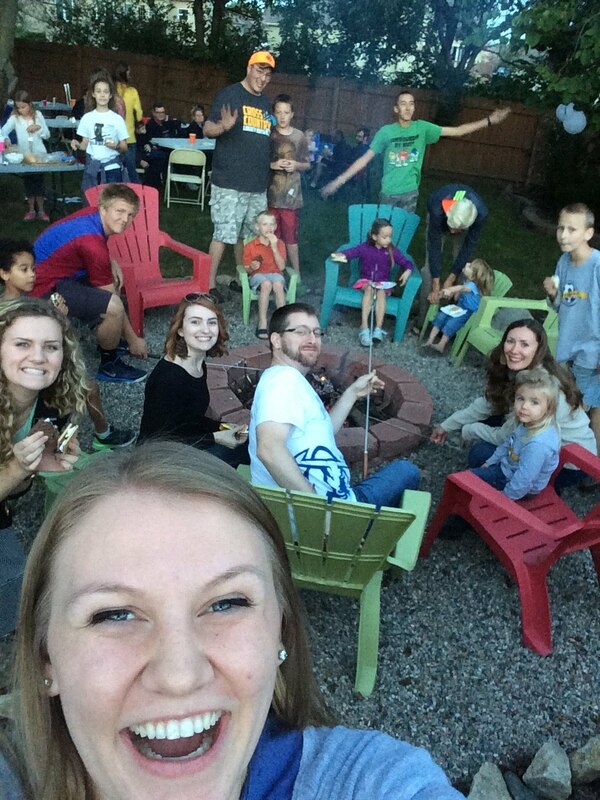 - smores at the barbecue on Saturday!! This week has been so full of miracles!! Where do I even begin?! First, I am so grateful to be a missionary. 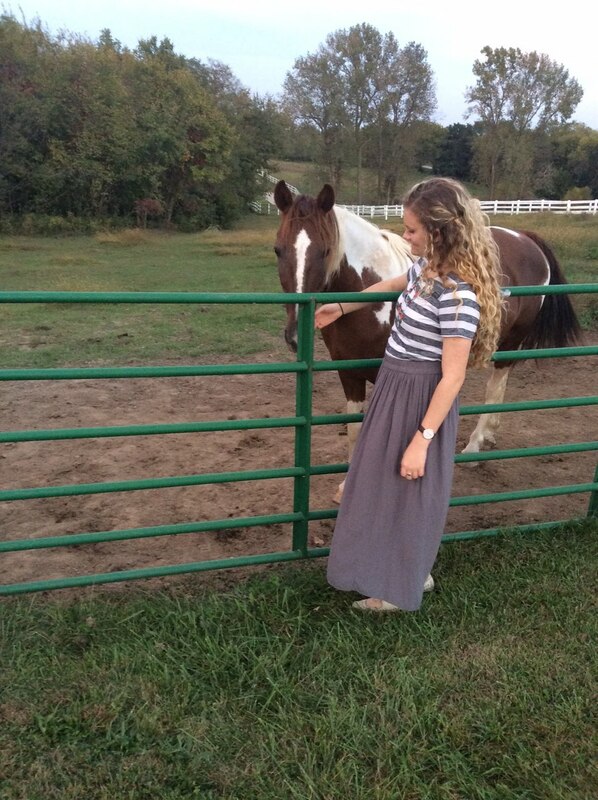 I love every second of serving the Lord full time. Monday evening we had our FHE lesson with the Russell family. We taught the Gospel of Jesus Christ to their family. Kloe who is 7 years old is getting baptized on October 22nd! And we found out that is a day after her birthday!!!! Aka birthday buddies ☺️ I have learned so much from this family. I love them. Tuesday we had a huge miracle! We have been praying and praying and fasting and fasting to find people to teach in our area for weeks and we are teaching another active family the lessons, the Marbles. 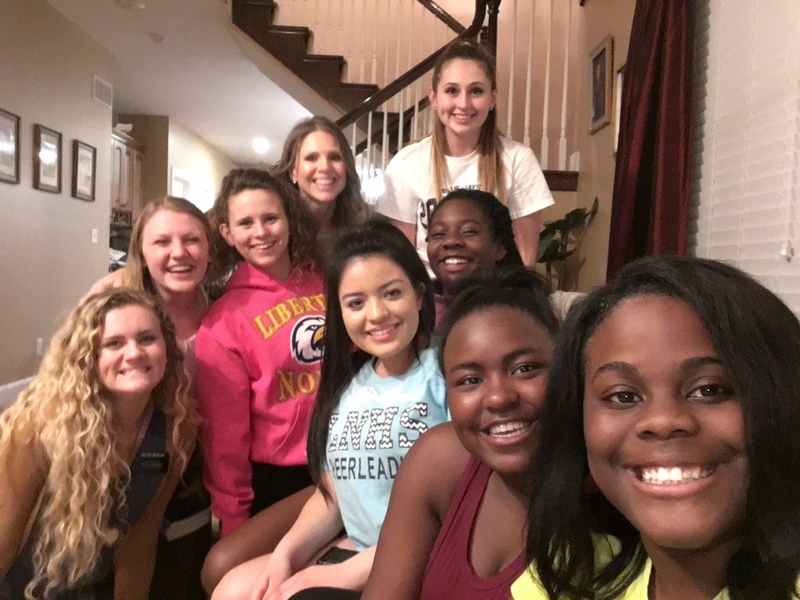 We went over to their house Tuesday evening for dinner and Julia Marble, who is a junior in high school, texted us and said she was goi to bring two of her friends home from cheer practice to introduce to us. She comes strolling in a little after we got there with FOUR friends! We had such a fun visit with them. 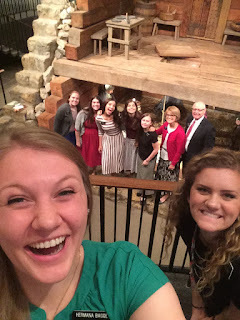 Sister Baggett and I got a taste of how clueless we are about worldly things. Haha. I still can't believe you don't have to press and hold a snap to watch it. Lol. Afterwards we had a lesson with them about the Book of Mormon and they were so excited to start reading it! They were trying to make it to conference yesterday but things came up. We are seeing them all tomorrow though. On Wednesday we had district meeting! 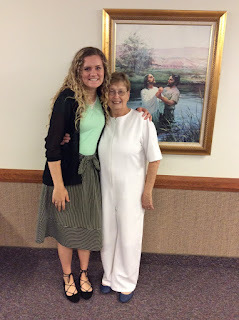 Sister Baggett gave such a good training on this talk called "The Tongue of Angels" by Elder Holland. I seriously recommend all of you to read it. 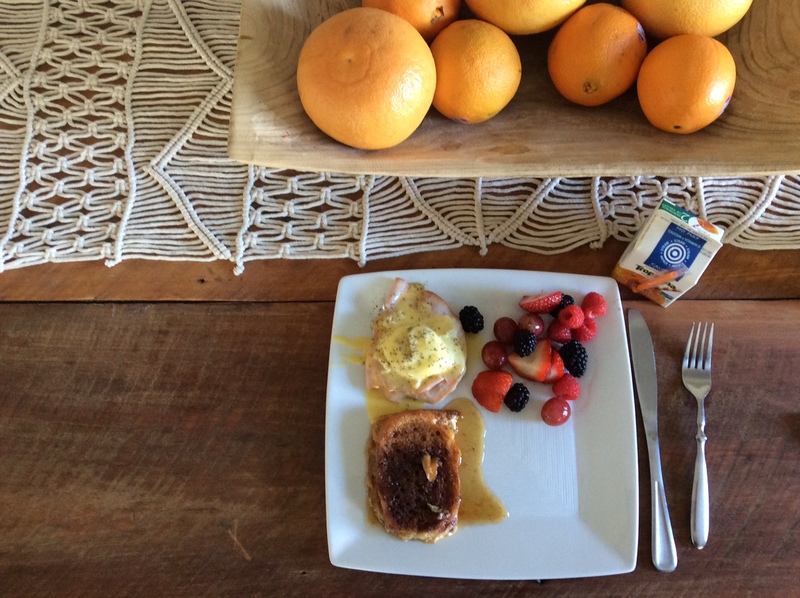 It is so good! It was given in the April 2007 conference. The Spirit was so strong during her training and it inspired me to to pay more attention to the words I say to others but mostly the thoughts that I say to myself. 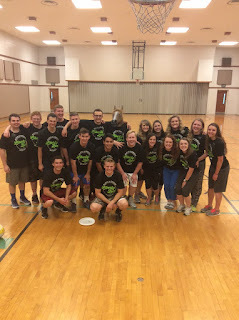 All weekend we did so much service. It was so awesome and so many miracles. We cleaned some houses, helped with some piano lessons, did some painting and gardening. It was awesome! Conference was so amazing as well. 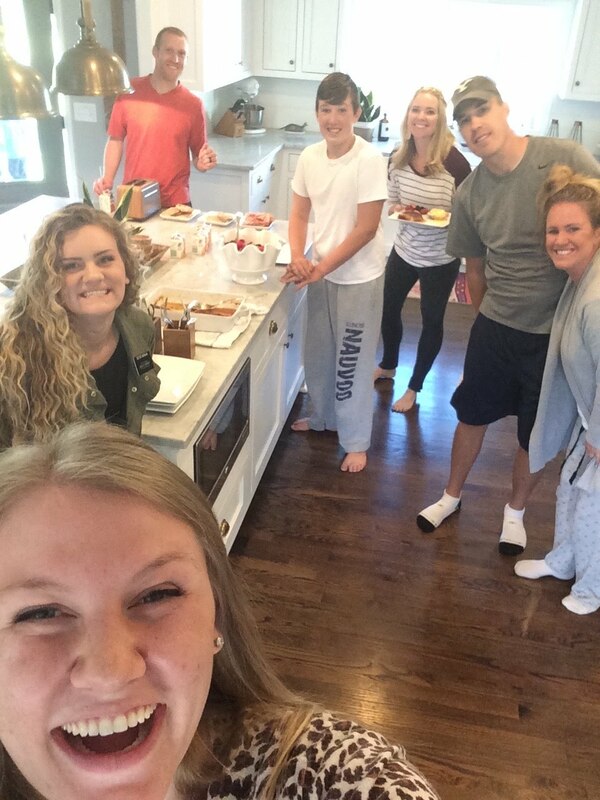 We went to our favorite families' houses to watch conference. We ate breakfast at the Russell's house yesterday morning and watched the morning session there and then went to the Marbles for the afternoon session! - picnic in our kitchen for dinner! - the breakfast :) so yummy! !